Our loyal readers probably know that yesterday we had the chance to play around with the new and shiny HTC Sensation. HTC's new flagship smartphone was the highlight of the event, and besides a number of impressive technical specs, it also boasted the updated HTC Sense 3.0 user interface. If you want to become more familiar with the features of HTC Sense, the manufacturer has been kind enough to include a neat interactive demonstration on its web site. The main goal of HTC's custom UI is to make your life easier with seemingly simple, but really useful tweaks to the phone's interface. Such enhancements include making your phone ring louder when it is in your bag and muting it with a single flip, as well as integrating the smartphone's built-in compass with satellite navigation software. The demo has been drawn in HTC's now traditional cartoonish style and it is quite amusing to play with so feel free to check it out by clicking on the link below. 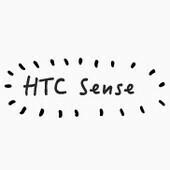 To watch the interactive demo of the HTC Sense, click here. I love the new HTC Sense. thats what i call sense! Are people seriously that bored that they need a UI to make their life easier? I'd like the UI to find an employer that wouldn't give me the run around and the UI should also pay for my college. Can HTC aria get newer HTC sense update ?? We? Who are you talking about? I need it. And a few other people do too.